Get relief. Hypertonic inhalation solutions from PARI with a high salt content help you to liquefy annoying mucus. Are your sinuses or lungs producing too much mucus? 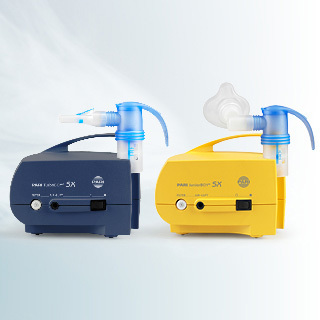 Hypertonic saline solutions such as the PARI MucoClear Inhalation Solutions help you loosen the mucus, for saline solutions with a high salt content can liquefy mucus. This will make it easier for you to cough it up and get relief. Sterile and contains no preservatives. Suitable for every age and very well tolerated. Suitable for all inhalation devices. 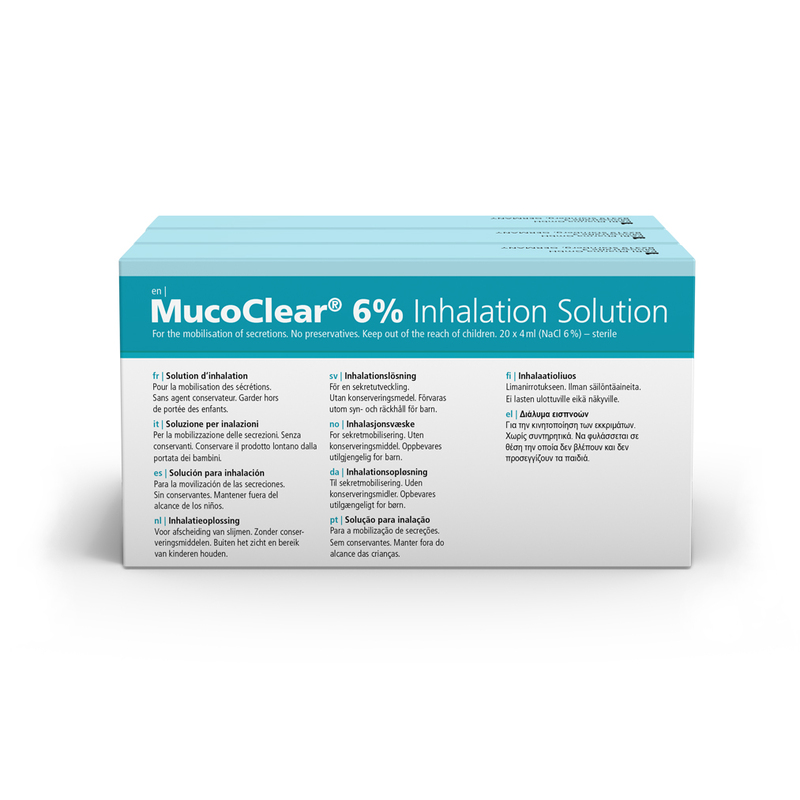 MucoClear 6%® Inhalation Solution loosens mucus especially effectively. The mucus is liquefied and it becomes easier to cough it up. 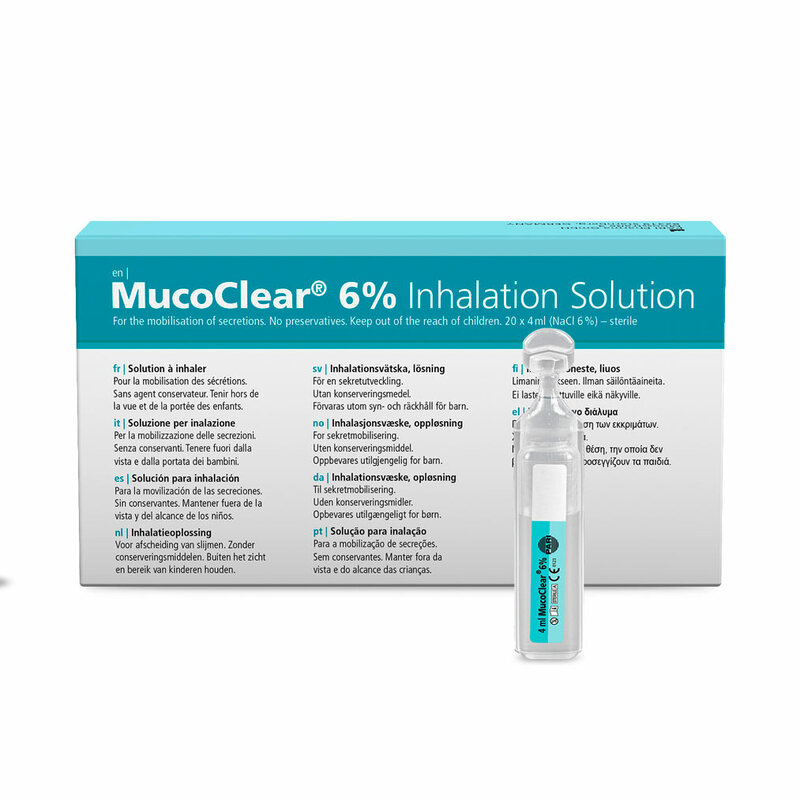 MucoClear 6%® Inhalation Solution is most frequently used in cases of cystic fibrosis and bronchiectasis. Depending on your needs, you can inhale a sterile vial of four millilitres two to four times a day. For the application we recommend a modern inhalation device from PARI. If you have a hypersensitive bronchial system or cough up substantial quantities of blood, consult your doctor or pharmacist before use. MucoClear 6%® Inhalation Solution is reimbursable in Germany for the therapy of cystic fibrosis from the 6th year of life (AMR [Medicinal Product Guideline] Annex V).